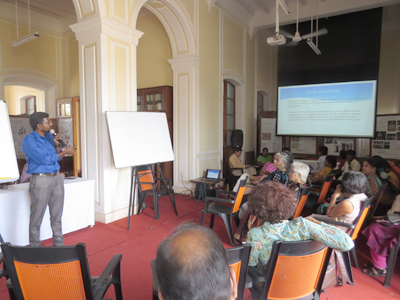 A three-day workshop on “Local food system of Pondicherry: A discussion on food sovereignty and agro-ecology” was conducted on January 4, 5 and 6, 2019 at the French Institute Pondicherry (IFP), Pondicherry. 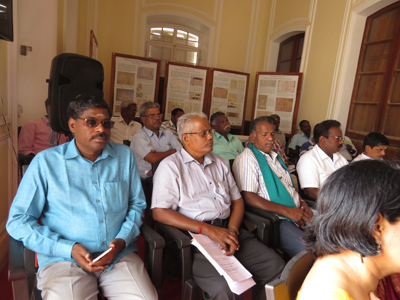 It was jointly organized by The French Institute of Pondicherry, Agricultural Department of Pondicherry and other local bodies. 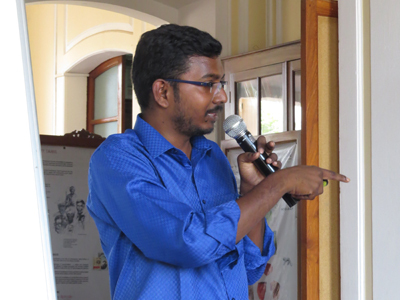 The objective was to introduce a discussion on the concept of “local food system” and what it means in Pondicherry at the local scale and for the diversity of stakeholders. The aim of the programme was to study the local food system as it integrates sustainable food production, processing, distribution and consumption in order to enhance the environmental, economic and social health of Pondicherry and its bio-region. This system creates a platform for a community to collectively decide, in a transparent manner, what their ‘food priorities’ are. The workshop, which was attended by around 40 people, scheduled a first day presentation; second day debate on food diversity along with a field visit and on the third day, an open market for organic produce was held. A larger discussion was carried out in this respect where Dr. B. Ramakichenin @ Balagandhi, Director of Agriculture Department, Pondicherry, talked about the how the current government schemes promote organic agriculture in the region by providing 75% subsidies on bio-agriculture inputs besides promoting training programmes via Krishi Vigyan Kendra. Similarly, some of the prominent national-level collectives such as Mahila Kissan Adhar Manch (MAKAAM), Food Sovereignty Network and Sustainable Livelihood Institute focused their presentation on the larger policy implication in terms of fortified food, minimum support price, subsidies and women as farmers without landholdings. Dr. F. Jayachandran from Sri Aurobindo Society presented the organization’s agriculture research work undertaken at Matrikunj under AHAR-I and II, explaining how pragmatic alternatives to pesticides and fertilizers could be explored through homeopathic interventions. 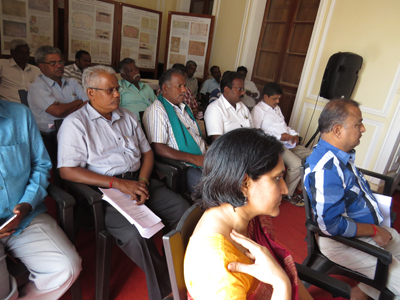 Further discussion on food diversity in Pondicherry and its bio-region followed with the conclusion that focusing solely on millet would not help in reviving the region’s condition of agriculture. The consensus was that there is a need to enrich this diversity by encouraging farmers to grow diverse crops whereby people could have access to organic food in large numbers.